Power and Control Cable is primarily used in the electric utility, industrial and commercial market place. Standards play a vital part in the design, production, and distribution of products destined for both national and international commerce. Sound technical standards benefit the user, as well as the manufacturer, by improving safety, bringing about economies in product, eliminating misunderstandings between manufacturer and purchaser, and assisting the purchaser in selecting and obtaining the proper product for his particular need. 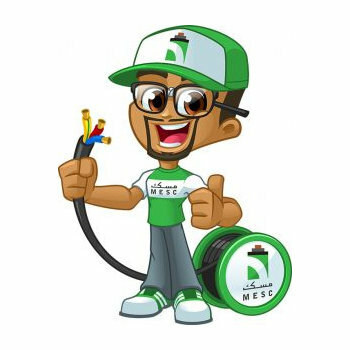 MESC is the leading manufacturer and supplier of all types of cables from several sectors. O&G, Petrochemical, Industrial, Commercial, Railway, Automotive, Military and Renewable Energy. MESC is supporting the region projects since 1993 in MENA and other regions. Middle East Specialized Cable Co. (MESC) was founded as a privately owned in Riyadh in 1993 to cater the growing industry of specialized cables in the region. After consolidating its presence in KSA as the market leader, MESC succeeded in penetrating other markets in GCC, Middle East, North Africa, Europe and USA. In 2007 it became a joint stock company and its shares floated on Saudi Stock market. MESC plants, located respectively in Saudi Arabia and UAE consist of ultra-modern facilities, high tech machinery and well- equipped laboratories, built for conducting various routing and type tests.